"Who knew Brussels sprouts could ever taste this good! 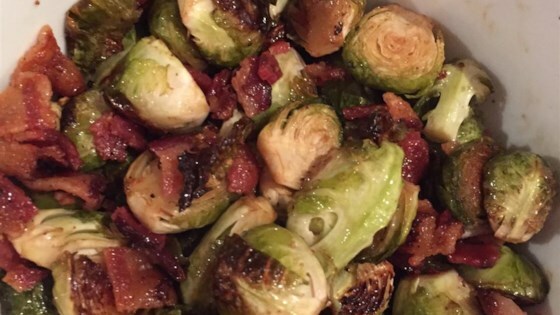 Caramelized and crispy, these sprouts gain a nutty flavor from the roasting process." Sweet and smoky roasted Brussels sprouts.